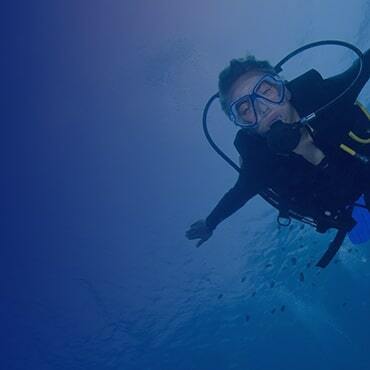 The Aquatica Housing for Sony A6500 is built from aircraft grade aluminum and stainless steel alloy with a strong powder coated finish making it ready for the worst dive conditions! Designed to be lighter than previous models, this housing includes the Surveyor monitoring system with a Leak Detector and optional vacuum kit. The housing features a new style Aquatica adjustable tray with their comfortable molded hand grips. In addition, they offer a great "power saddle" to gain additional battery life when shooting. This connects to the micro USB port, so it does not interfere with firing your flash. 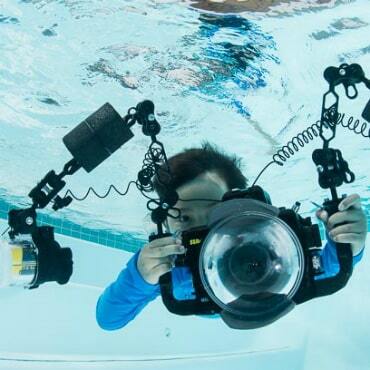 The Nauticam housing for Sony A6500 camera is crafted from high-quality aluminum and features complete camera control, included rubberized grips and multiple accessory bulkheads. 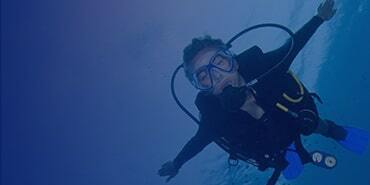 Nauticam focuses on ergonomics, moving controls to the best placement for underwater use. The size and weight of this version have been reduced for a more enjoyable experience and there is a wide variety of useful accessories available, such as the battery pack, vacuum system, viewfinders, lenses and more. 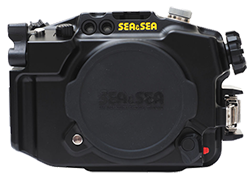 The Sea & Sea housing for Sony A6300, A6500 camera is built from high-quality, corrosion-resistant aluminum. 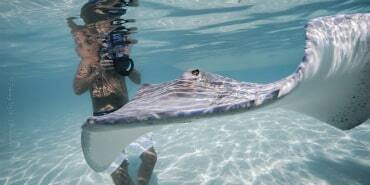 Its ergonomics are great and all pertinent camera controls of the camera can be accessed thru the housing. 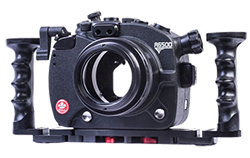 The housing has 2 accessory bulkhead which can be used for vacuum valve, electronic sync cable or for a monitor. Buttons have a luminescent label which glows on low light conditions. Cameras LCD can be tilted inside the housing which helps for easy viewing. A wide variety of accessories are available to make your shooting experience wonderful. 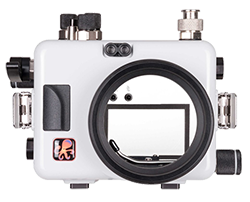 The Fantasea A6500 Housing features a shock resistant polycarbonate construction with full camera functionality. This housing has an ergonomic design with well-placed controls and is one of the few polycarbonate housings to offer an M16 accessory port. This version is also compatible with the Sony A6300 camera. 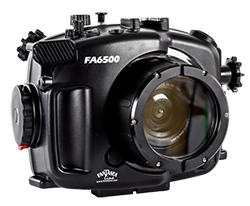 Get a FREE lens gear with the Fantasea A6500 Housing, Port & Gear Package. 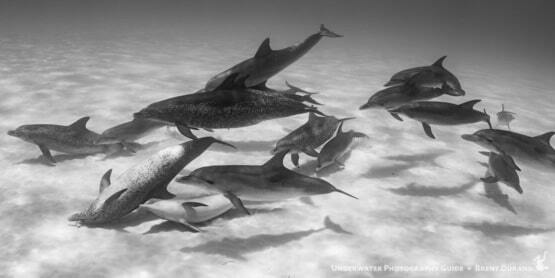 This includes the housing, flat port and zoom gear for the 16-50mm lens, a $90 savings. The Ikelite Housing for Sony A6500 offers a great low-cost solution to house this high-end mirrorless camera. The white ABS-Polycarbonate blend is more durable than its previous housings and requires minimal maintenance. The housing supports accurate TTL shooting with Ikelite strobes and supports all the Sony E-Mount lenses through their Drylock Port System. The Sony A6500 camera is the top of the line option for Sony's mirrorless APS-C sensor size cameras. 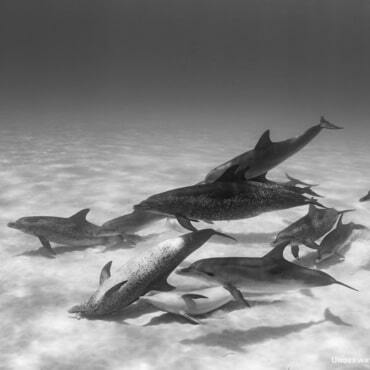 With a range of lens options, and a slightly larger sensor than the popular Micro 4/3rds cameras, the Sony mirrorless is a great choice for underwater photography. The A6500 builds upon the solid foundation from previous models and introduces improvements such as 5-axis image stabilization, newly developed image processing algorithm, touchscreen focusing, and a much wider selection of video recording formats including higher quality 4K video recording using Super 35 feature that uses 6K of data before recording at 4K.